Spring Return retractable fume exhaust for inside garage use to remove fumes. No Fan Included. 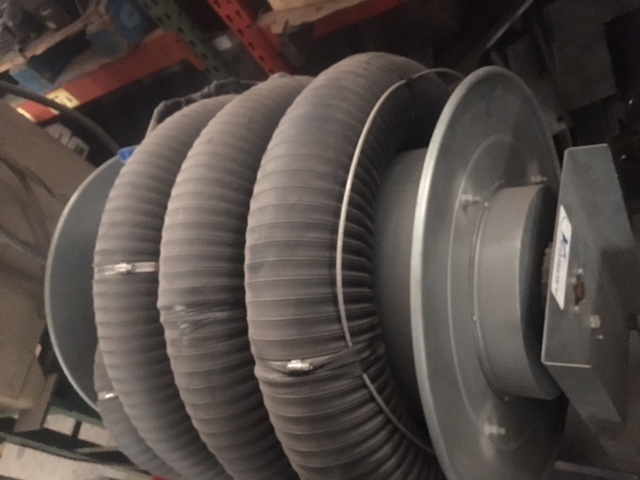 Unit is designed to hang from ceiling and connect to fume Source or muffler pipe.